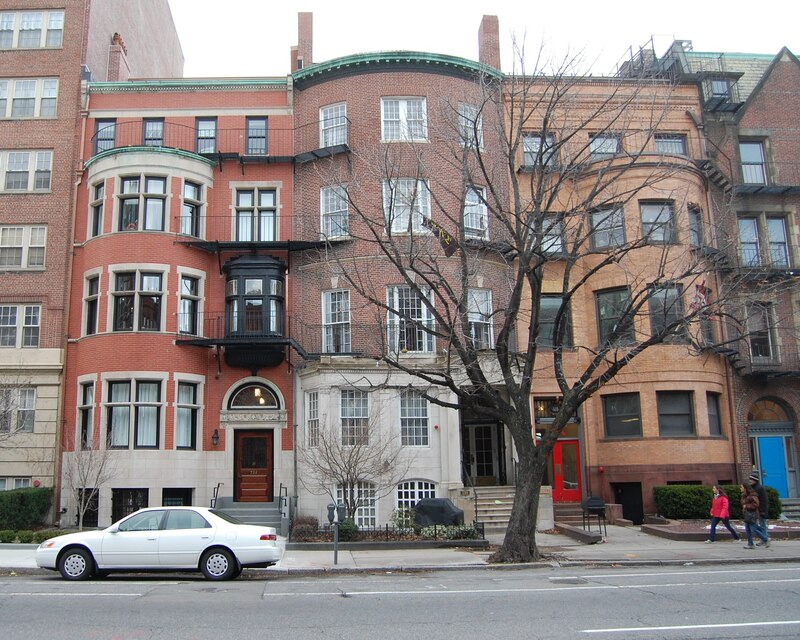 530 Beacon is located on the north side of Beacon, between Massachusetts Avenue and Charlesgate East, with 528 Beacon to the east and 532 Beacon to the west. 530 Beacon was designed by George A. Avery, architect, and built in 1908-1909 for Charles Henry Traiser and his wife, Annie D. (Butts) Traiser. He is shown as the owner on the original building permit application, dated March 23, 1908, and on a separate permit application for construction of a garage at the rear of the property, dated August 12, 1908. 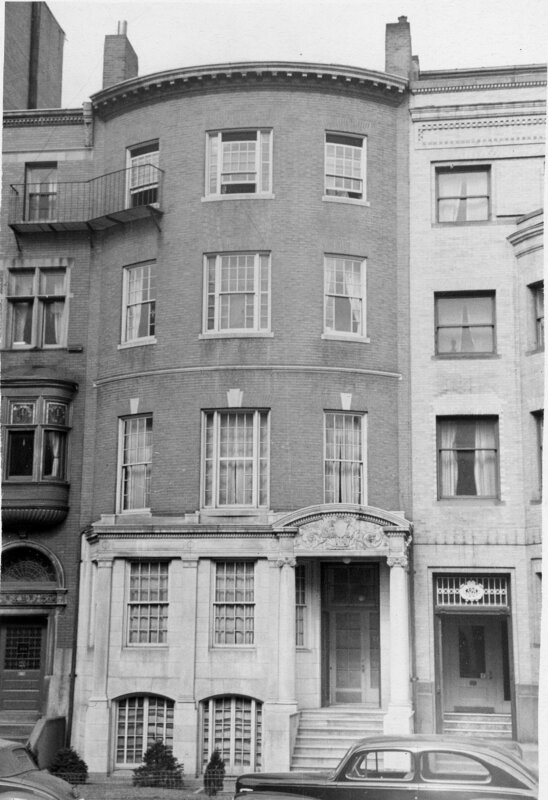 530 Beacon was the last single-family dwelling to be built on a previously vacant lot in the residential portion of the Back Bay. The land for 530 Beacon was part of a 56 foot lot purchased from the Boston and Roxbury Mill Corporation on June 2, 1887, by Dudley Leavitt Pickman. He sold the eastern 50 feet on December 13, 1887, to Dr. Charles Pickering Putnam, and the western 6 feet to Elizabeth Perkins (Cabot) Lee, the wife of Henry Lee. 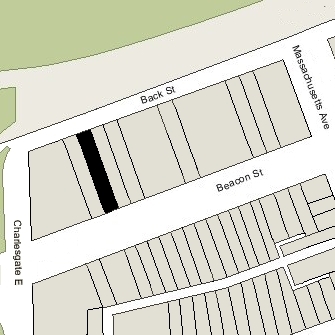 On February 24, 1890, Charles Putnam entered into an agreement with the other owners of land on the block limiting (until January 1, 1905) the depth of any new buildings to 90 feet from the north line of Beacon (with bays and other projections limited to extending another 5 feet), and limiting the height of stables and other ancillary buildings further north to no more than 12 feet in height. 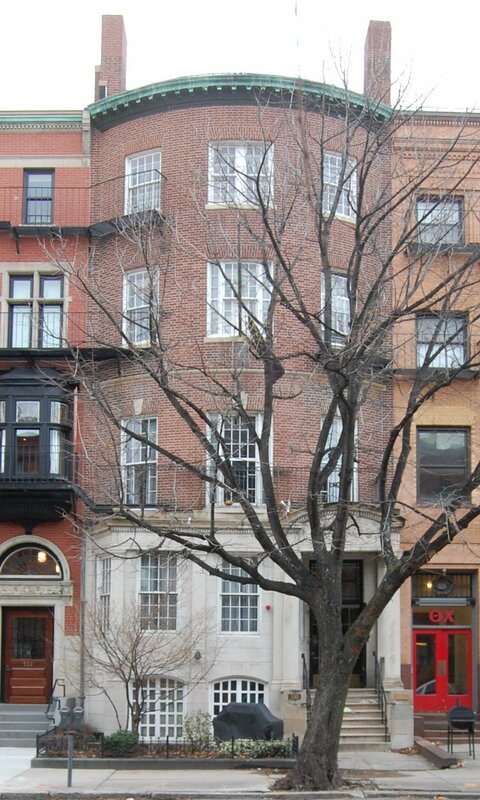 The agreement probably was prompted by construction of The Austerfield at 7-9 Massachusetts Avenue (502 Beacon). It was the only building on the block and its north façade extended to Back Street. On July 12, 1899, Charles Putnam sold the western 24 feet of his land to Mary (Wheaton) Kittredge, the wife of Francis W. Kittredge, who had 532 Beacon built on it. In the deed transferring the land, Charles Putnam included language (for the benefit of his remaining land at 530 Beacon) extending until January 1, 1930, the restrictions contained in the 1890 agreement as they applied to the lot at 532 Beacon. On June 22, 1906, Charles Putnam sold the 26 foot lot at 530 Beacon to real estate developer and investor Albert Geiger, Jr. On December 3, 1907, Albert Geiger, Jr., filed a permit application to build a ten-unit apartment house on the lot, to be designed by architect Arthur H. Vinal. He subsequently abandoned the project and transferred the land to his father, Albert Geiger, Sr., also a real estate developer. On January 14, 1908, Charles Putnam re-acquired the land from him and sold it to Charles Traiser on the same day. Charles Putnam conveyed the property through J. Alfred Anderson, a real estate auctioneer. Before he conveyed the property to Charles Traiser, J. Alfred Anderson entered into an agreement with the owners of 526-528 Beacon and 532 Beacon restating the restrictions on the depth of buildings and on the height of structures in rear of the properties contained in the 1890 agreement (which had expired in 1905), extending the restrictions until January 8, 1918, for 526 Beacon and until January 8, 1923, for 528-532 Beacon. The restrictions were further extended to May 1, 1932, by a March 29, 1912, agreement among all of the owners of the property at 506-532 Beacon. Click here for an index to the deeds for 530 Beacon. By the 1909-1910 winter season, Charles and Annie (Butts) Traiser had made 530 Beacon their home. They previously had lived in Newton. Charles Traiser was a cigar manufacturer and dealer in the firm founded by his father, Henry Traiser & Co.
Annie Traiser died in February of 1913. Charles Traiser continued to live at 530 Beacon with their only child, Marion Jeannette Traiser. By the 1914-1915 winter season, they had been joined by his mother-in-law, Susan Angeline (Dunbar) Butts, the widow of James H. Butts. Marion Traiser married in June of 1915 to Joseph Blake Thaxter, Jr. After their marriage, they lived at 530 Beacon with her father and grandmother during the 1916-1917 winter season, after which they moved to Marblehead. Charles Traiser married again in July of 1915 to Mrs. Eva Abigail (Pratt) Steele, the former wife of Harry Leon Steele. They lived at 530 Beacon after their marriage. Susan Butts continued to live with them during the 1917-1918 winter season and probably until shortly before her death in January of 1919. Charles and Eva Traiser continued to live at 530 Beacon during the 1920-1921 winter season, but moved thereafter to Milton. On February 1, 1922, 530 Beacon was purchased from Charles Traiseer by the Phi Kappa Sigma Trust and became the fraternity house of the MIT chapter (Alpha Mu Chapter) of the Phi Kappa Sigma fraternity. It previously had been located at 203 Bay State Road. In June of 1996, the fraternity applied for (and subsequently received) permission to renovate the entire house and to add a penthouse. 530 Beacon remained the Phi Kappa Sigma fraternity house in 2018.